Yet another museum has popped up in China! Because the only thing that China needs (besides more people or more pollution) is more museums! Because museums equal culture! The Yuz Museum opened a few weeks back on May 18, which oh so coincidentally is International Museum Day. Its inaugural exhibition Myth/History: Yuz Collection of Contemporary Art is a behemoth, by which I mean: holy crap those are giant installations. The museum is located in the West Bund area, which is … kind of in the middle of no where. It’s fairly removed from the city, it’s a bit of a trek from the subway station, it was hard to find a taxi in the area, and I didn’t see anywhere to eat in my short wander. But what the area does have is space. Longhua Airport used to dominate the area, so the Yuz Museum is actually housed in a former aircraft hangar – hence the beautiful trussed ceiling and large main exhibition space. It seems like people are throwing money into the West Bund, hoping to transform it into a lucrative cultural area (with an emphasis on the ‘lucrative’). I’m not so sure the culture part will really come through. Last year there was the West Bund Biennale and earlier this year the Long Museum Puxi opened not too far from where the Yuz is, but plopping museums down doesn’t create culture, especially since the Yuz and Long Museums are cut from the same a-little-too-expensively-tailored cloth – they’re museums that are essentially the private collections of filthy rich people. Not really into public programs, high admission fees, and oh, they’re chain museums too. There’s an existing Yuz Museum in Jakarta, Indonesia, and there’s an existing Long Museum in Pudong … also in Shanghai. The Myth/History exhibition is good, and I do recommend it. It’s interesting for having so many big names all in one museum. 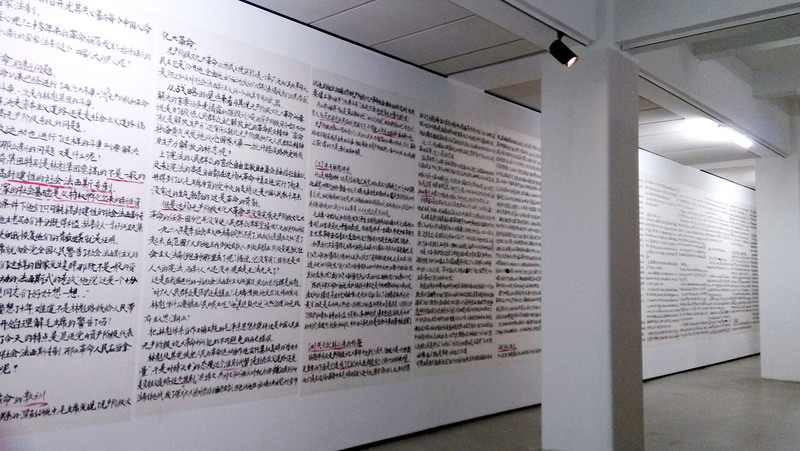 It’s like someone bought a book on contemporary Chinese art and made an exhibit from the artists listed. The highlights were definitely the installations in the Great Hall, which is understandable given the building’s layout, so the galleries along the perimeter edge felt a little like afterthoughts – albeit very well-stocked afterthoughts. The Yuz itself makes the list of good museums in Shanghai, but the West Bund area is really annoying to me. Eventually I’ll have to pluck up and make the long trip out again for the Long Museum Puxi, but … ugh. Jing’an Villa is a historic lilong (or nongtang) neighborhood in Shanghai, accessed from West Nanjing Road and Weihai Road. And apparently I am truly a horrible, horrible architect because I had no idea this place existed, let alone off a street I walk down frequently. I mean seriously, I’ve passed the entry gate a zillion times and was never even curious as to what was behind it. Apparently this place used to be a pretty bustling little artsy place, sort of what Xintiandi and Tianzifang started as, that ideal mixture of historic charm, hip shops, and cafés. And all that is no more. Apparently a lot of the shops were illegally constructed or being run illegally so the local government had everything torn down last year. And I never got to see it! Sad. It’s still interesting as an example of historic architecture, but it’s sad that kind of ‘young’ life is no longer there. Yes, architecture is part of one’s cultural heritage and it should be protected and laws should be followed. But to what degree? Is keeping it pristine and off-limits the best way? Putting something in a museum is great to make sure it’s protected, but it also removes it from the present, from the people, from the living culture. It sticks it behind a pane of glass and says: Don’t touch. This belongs to the past, not to you. I think there are too many HPers (historic preservationists) who treat architecture like some fragile artifact. In general, architecture is part of a community. It’s not an art object, it’s a functional habitat/shelter/home and should be allowed to adapt and evolve with society (within reason of course). The best way to encourage appreciation for heritage is to integrate it into your life, not segregate it out of fear. The question is where to strike that balance … because as we all know from Xintiandi and Tianzifang, too much money and hype easily squeeze out all the culture. 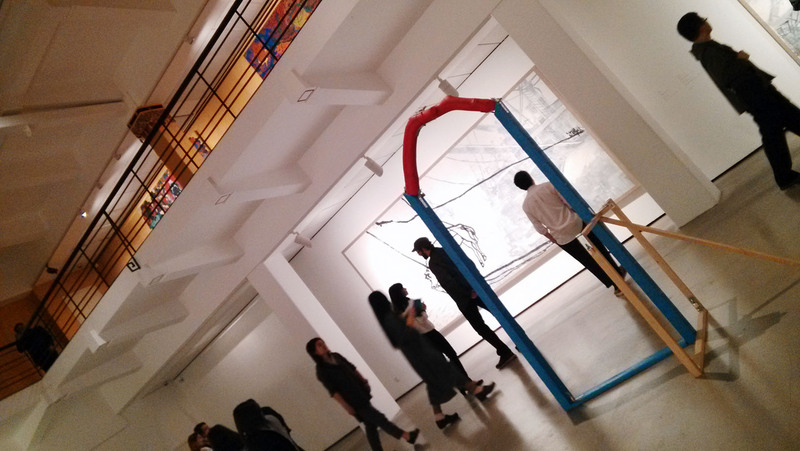 Two weeks back I went to the opening of Advance through Retreat, the current exhibition at the Rockbund Art Museum. 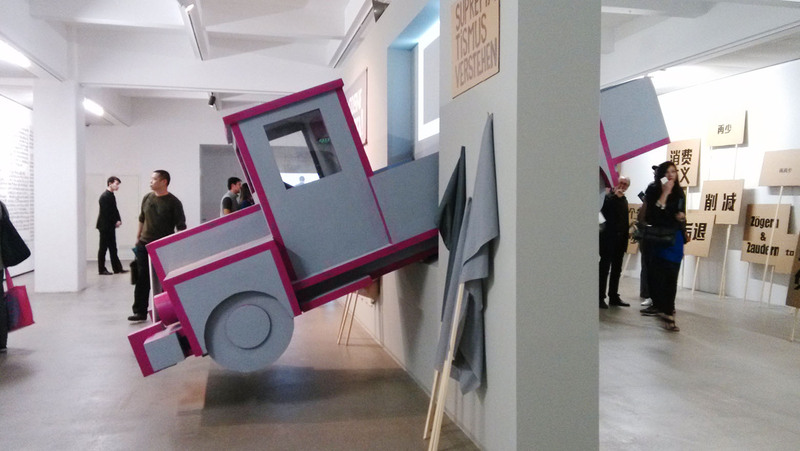 The title comes from The Art of War by Sun Tzu, and supposedly the exhibition is all about contemporary artists using tradition for progress … or some-such. The show was decent enough, but it’s not something I would really recommend, and I probably won’t visit again. It was just kind of blah. 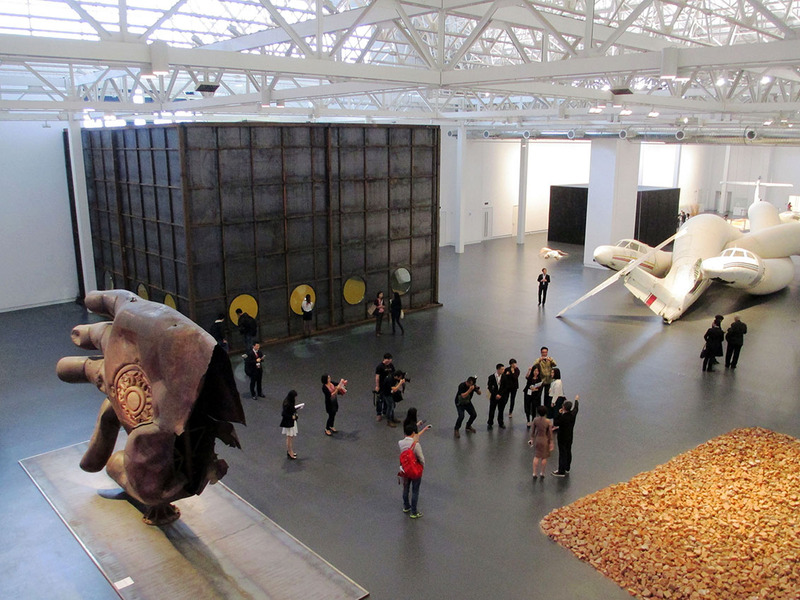 Certainly there were some interesting pieces (the video by Pablo Wendel, Terracotta Warrior – Xi’an PR China, 2006, is pretty hilarious), but group exhibitions are tricky because the concept needs to be really strong to tie things together, especially with a space as gigantic as the RAM. Basically I found the exhibition very scattered. If you actually took the time to read the introduction, you could get a feel for what Martina Koeppel-Yang (the curator) was trying to do, but her words didn’t come through the works very well. It’s hard to follow-up Bharti Kher’s exhibition, and since this exhibition will run through the summer, you have to forgive it for being a bit lacking. Summer exhibitions tend to be throwaways because people are either too busy enjoying themselves on vacation or it’s too darn hot to do anything but sit in front of the air conditioner. Anyhow, if you’re bored and have 30 RMB to burn, you might as well visit the Rockbund. Am I crossing a line with posting this image? Not sure, but I’m going to say it’s okay since you can’t make out faces. And they’re so cute! From where I live, I can see the playgrounds (play yards? play courts?) of two nearby schools. The main disadvantage of living so near to schools is that they have REALLY LOUD announcements at 8 AM. It wasn’t so bad during the winter, but now that the weather’s warming and they’re doing their morning exercise drills outside, oh heaven have mercy! If their outdoor PA system is waking me up in the morning, I fear for those kids’ eardrums! Last week the elementary school was holding some kind of event for the students. Maybe because it’s nearing the end of the school year? They were playing lots of REALLY LOUD Chinese pop music and it looked like there were groups of kids putting on routines for the other students. There was even a row of kids with yellow pom-poms. Looked like a hoot. Makes me miss childhood! 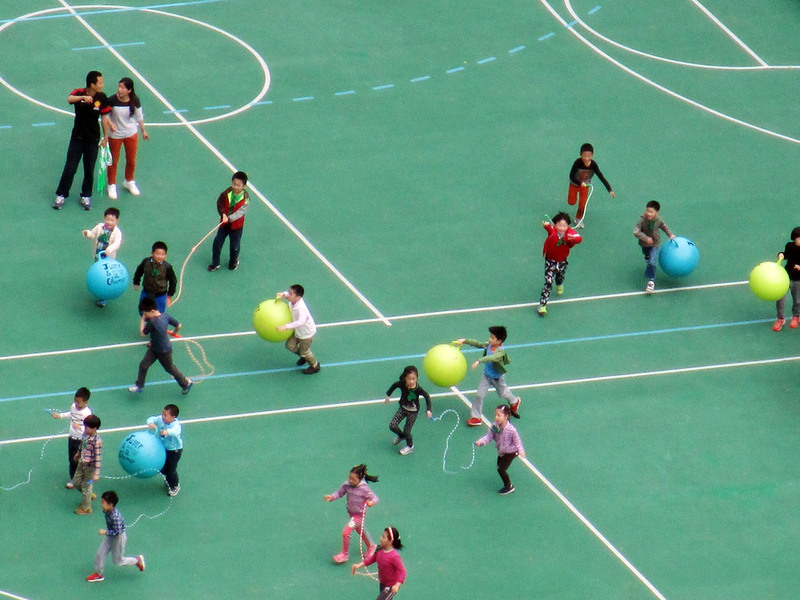 Back when I was in elementary school, we’d always have a field day near the end of the school year … although our field days were more like mini carnivals. And we had real grass to play on. A new little restaurant (er … hole-in-the-wall) called Dixie Grill opened, so I went with a friend to try it out. And the food was really good. 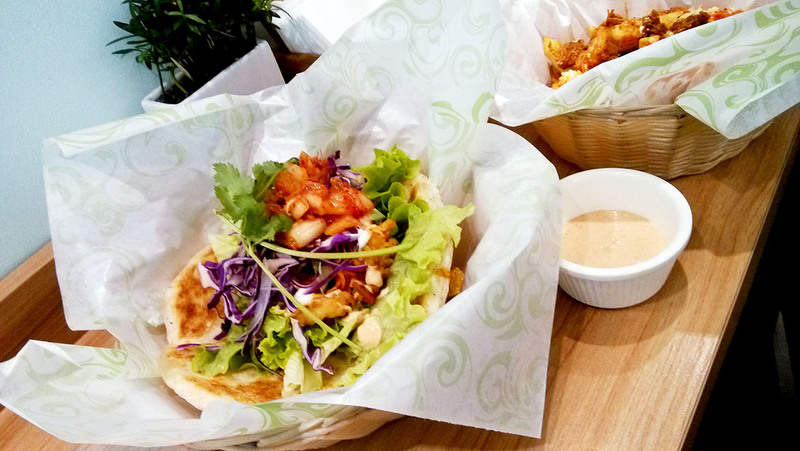 Fresh but hearty Asianified American – think wraps, salads, sandwiches, et cetera with a hint of vaguely Asian flavors. Truth be told, I barely tasted anything Asian, save for the obvious use of kimchi in the kimchi pulled pork fries, but everything we ordered was great nevertheless. I love Southern food and I love fusion food, but tacos and fries don’t make it Dixie. The food was straight-up random American. And who says Dixie anyway? To me, it’s one of those borderline offensive terms that used to be a source of pride and isn’t in itself offensive, but has all those negative historical connotations that have caused it to fall out of favor. But the proprietor’s not from the South (he’s Canadian-ish), so I guess I shouldn’t blame him too much, even though I’m sure I was rolling my eyes when he talked about the Tex-Mex style as being ‘Dixie’. Sorry honey, but Dixie is down-home cooking like biscuits and gravy or chicken fried steak. Tex-Mex, as much as it is Southern, ain’t Dixie Southern. I think Texas has always been a bit weird to that regard – South, but not ‘the South’. Naming complaints aside, the food is delish. Delicious. Fried chicken taco was great. Fresh pear and orange juice was refreshingly fresh. Kimchi pulled pork fries were ohmygosh amazing. And the prices are reasonable. The chipotle sauce was a bit meh though. Apparently Dixie Grill opened for business around seven or so weeks ago, so it’s still in its fledgling stages. I hope it survives, if for those fries alone. They were talking about starting up delivery service, which would be a really, really great idea since the place is too small, even though it is clean and bright and in a good location. Try it out. The proprietor’s name is Jeff and he’s very willing to chat and listen to your advice on how to improve his place. 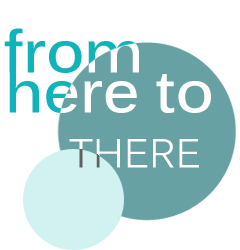 And while you’re at it, check out DiscoverWish.com, founded by two guys, one of whom is a Houstonite I met here. When I first heard of Piro, I thought it was an Italian joint, because Piro sounds Italian, right? But thankfully it’s not! Because Shanghai really doesn’t need another mediocre Italian restaurant. Piro in Xuhui District (right by where Fortune Cookie is located) is American pub kind of food and it’s one of those bar/restaurant sort of deals where there’s always some kind of NBA game or what-not playing. Id est, it’s the typical American restaurant that doubles as a sports bar, which is the only kind of American restaurant you’re likely to see in Shanghai. I guess it’s the prevailing view that all Americans are obsessed with sports and beer. Hm … no comment. Anyhow, their burgers are good, which makes sense given burgers make up half their menu – lots of burger options! Their burgers tend to the fancy shmancy type (small but tall) versus the more low-key wide and squat that I actually prefer, but taste and texture were good and my arms and legs are intact, so yay! 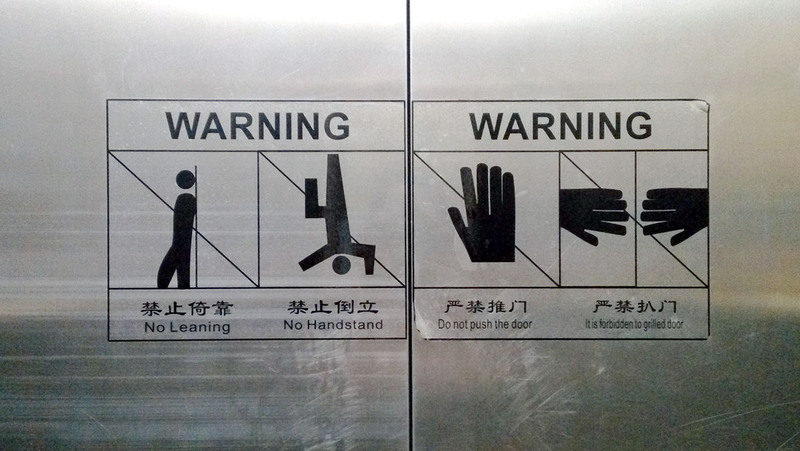 no handstands in this elevator, please! As seen on an elevator door in Shanghai. Warning: no leaning, no handstands, do not push the door, and do not grill the door. Wait what? The leaning and pushing I can understand, but the other two? “It is forbidden to grilled door” is just a bad translation; it should say something more to the effect of “Do not hold open the door.” But as for the handstand, they really are forbidding you from doing a handstand in the elevator. Head-scratcher that one. I never considered doing a handstand in an elevator before. Architecturally speaking, sites of government and worship are often placed on higher elevations (atop hills) because of our societal connotations of height with power and oversight. 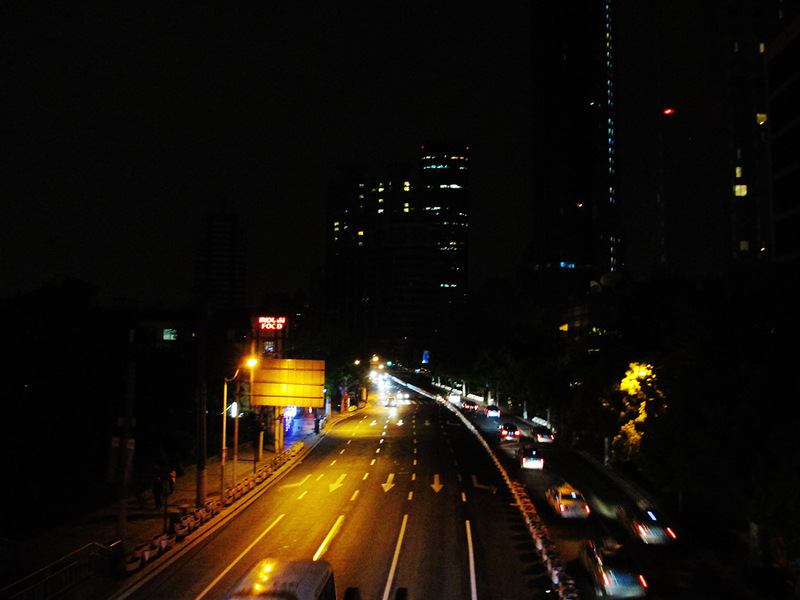 This picture looks south from the pedestrian overpass that crosses Yan’an Road, which is a major road that runs east-west through basically all of Shanghai. I love walking on it because, a) it’s the easiest way to cross into Xuhui, b) it offers a nice view, c) I love when cities consider pedestrian circulation, and d) it’s a weird power trip to walk over the cars below. Especially when the weather’s nice and the lights aren’t murked out by hazy skies. Shanghai at night is quite peaceful, because unlike cities like New York, Shanghai closes pretty early with most restaurants closing around 9 and the subway done by 11ish. The main exceptions would be the Bund area and the former French Concession. For all intents and purposes, Yan’an Road can be considered the dividing line between the more business and residential Jing’an to the north and expat- and restaurant-heavy Xuhui to the south (part of Jing’an is south of Yan’an … but whatever). 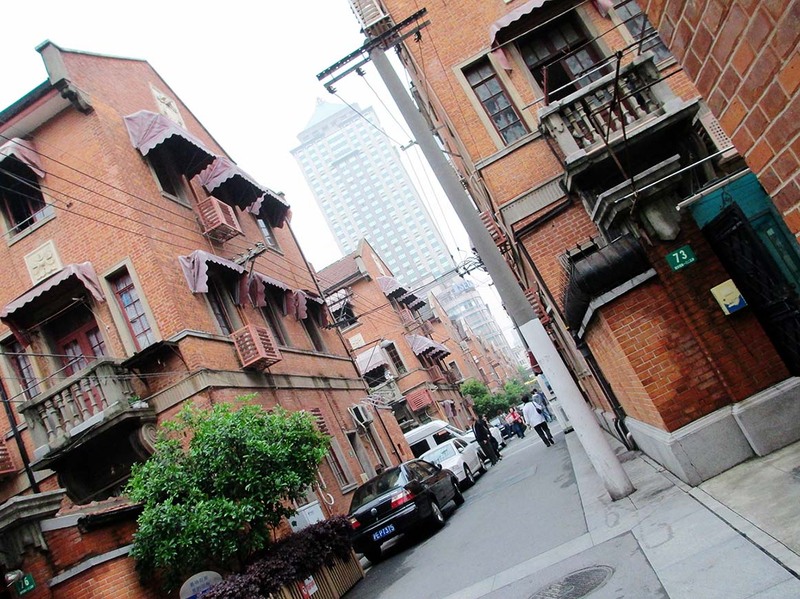 This follows the historical lines between the International Settlement of which Jing’an is a part and the French Concession, now part of Xuhui. I’m completely oversimplifying this, but let’s just say that I’ve crossed this overpass many times and often at night – either on my way to dinner or on my way back. It’s a holiday! No work! Today is May 1, aka May Day, aka International Workers’ Day, aka Labor/Labour Day. I had heard of May 1 being a holiday, but having grown up in the States, it was always one of those random holidays that barely made it onto the calendar. It was that weird spring holiday where you might leave candy and flowers at your neighbors’ doors (but most don’t). Well, no candy and flowers here in China. It is a national holiday though, so the work schedule gets all switcherooed to make it a three-day weekend (off Thursday, off Friday, off Saturday, work Sunday). I hear the holiday referred to as Labor Day (and I’ve seen both the American and British spellings), but I just can’t bring myself to call it that. Because Labor Day is the first Monday of September. It’s a goodbye to summer, the last hurrah before school starts, whereas May Day is decidedly a spring deal. So I’ll play the part and say “International Workers’ Day” … but in my mind I’m thinking flowers. 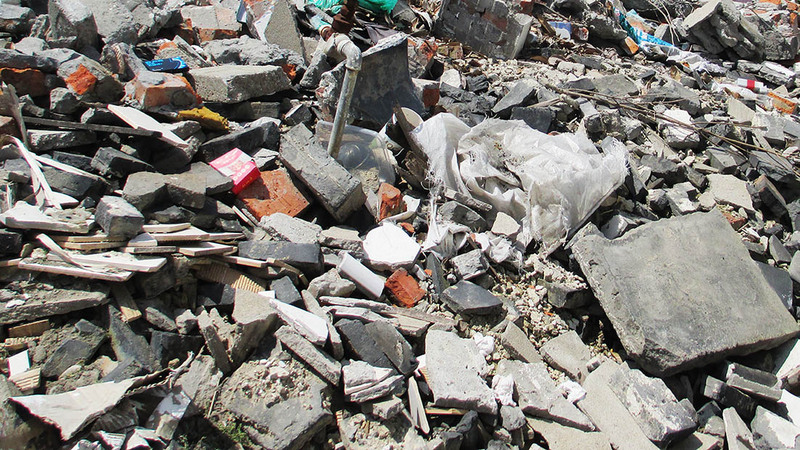 Image is of a pile of rubble near a construction site in Zhujiajiao, Qingpu District, Shanghai. Construction in China – it’s not progress, it’s a way of life.